3 Key Actions When Buying Into a Strata Scheme: Do Your Due Diligence! Allison Benson, Kerin Benson Lawyers and Paul Mulligan, Founder and Licensed Real Estate Agency of Paul Mulligan Property Group discuss what steps to take when buying into a strata scheme. Across Australia, the growth of strata title buildings is continuing. Over the Christmas break, NSW residents would have looked on in horror at the structural defect concerns raised at the Opal Tower building in Olympic Park causing an evacuation of the complex. While the Opal Tower situation is obviously an extreme one, it did get me thinking about what to look out for when buying into a Strata Scheme. When buying into a strata scheme, the most important thing is to do your due diligence. This is absolutely crucial and cannot be emphasised enough. Don’t hide under your desk avoiding it. if you can, talk to an owner occupier to see if they have had any building related issues. Studies have found that approx. 80% of new buildings have defects. As a potential purchaser of a strata scheme, you should be aware of this and be investigating what approach the builder has to remedy building defects. For instance, have they previously gone back to site to repair the defects or have they been dragged kicking and screaming to site to face their obligations? In all too many of the cases that I see lot owners did not want to spend the money to obtain a strata search before buying into a Strata Scheme and they have had an unpleasant surprise. After you obtain the strata search, read it. That’s right, don’t just obtain one, actually read it. is there enough money in the capital works fund – if not you may find a special levy in the future to cover a repair. why there is such a large amount being spent on consultant’s fees? Does this mean there are issues with the building? Does it mean professional services such as lawyers have been engaged and if so, what for? why has a dispute arisen? What steps are being taken to resolve it? Will it mean there will be a special levy in the future? They are part of the contract for sale. They are the rules by which you, or if you are fortunate enough to have an investment property, your tenant must live by. The by-laws may, for instance, restrict pets, restrict smoking, restrict the use of your lot or enable certain works to be conducted. By reading the by-laws you will understand, before buying into the strat scheme, what the rules of your new community will be. You should also read the by-laws to double check to see if any works to your potential new home were authorised and, if they were, on what conditions. This is important when buying into a Strata Scheme. Why? If you go into a 1980’s building and notice that the bathroom has been completely renovated then it is extremely likely that the common property was altered in doing so. If so, the lot owner should have obtained a by-law to authorise that work. In the case of bathrooms, common property involves the waterproof membrane which is damaged when tiles are removed and replaced. Most works by-laws require the owner of the lot (which would be you if you purchased the lot) to be responsible for any damage caused due to the renovations. If for instance, the waterproof membrane fails in the future you may be required by the by-law to remedy it. Again, buying into a Strata Scheme, I cannot emphasise how important research is. It may not save you in all cases but at least it should mean that you are going into the purchase with your eyes wide open. Buying into a Strata Scheme may be one of biggest financial decisions that you may make in a lifetime! We often get calls from prospective purchasers about a Strata Inspection Report. The first questions most potential clients ask is: How much do you charge for a Report? Most property buyers do not really understand the importance of the report. This is completely understandable, as property buyers generally only purchase a property once in a lifetime and we complete 100’s of reports. A Strata Inspection Report can cost as little as $250 to $350, it generally depends on how many Lots (apartments) form part of the Strata Scheme. If you think about it a building inspection report is around $400+. The information a Strata Inspection Report will be far more valuable to you if you are purchasing a property within a Strata Scheme. So what will a Strata Inspection Report tell me? Are there any Special Levies been raised or past special levies. How much money is in the administrative and sinking fund? Are there any known major issues such as building defects, proposed major expenditure? What is the Scheme’s rules with keeping an animal? Does the building comply with the Strata Schemes Management Act? (Work Health & Safety Act, Asbestos Management, Fire Compliance, had a property valuation in the past 5 years). Is there enough funds to cover any potential major expenditure? Is there currently any legal matters. Is there any disharmony in the building? Are there any special By-Laws and will they affect me? 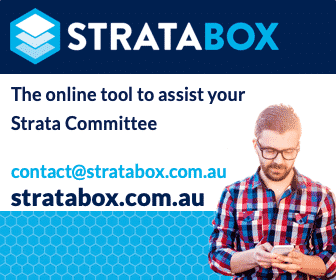 Are the strata levies up to date or in arrears? Expenditure over the past 3 years. Are there any known plumbing issues. Why is this important to me as a prospective purchaser? Buying into a Strata Scheme you become part of a Strata Scheme, if for example something major happens to the common property and there is insufficient money in the sinking and administrative fund a Special Levy, may need to be raised and if this levy has not been raised prior to you purchasing, you will be responsible for part of this special levy. Some buildings do not comply with current Council Fire Regulations if Council issue a notice to comply this can be very expensive and problematic if there are insufficient funds. Generally, an engineer will need to be appointed to assist the Owners Corporation to comply. Depending on the size of the building this can run into $10,000 to $100,000’s of dollars. A Strata Inspection Report can be more important than a Building Inspection Report, as it reports on known issues within the building where a building inspection will only report on issues within the unit you are considering purchasing. When buying into a Strata Scheme an owner is generally responsible for a proportion of any outstanding major works. Buying into a Strata Scheme without a Strata Inspection Report is complete madness. It could save you $10,000’s or $100,000 if there are inherited issues. About the Author: Paul Mulligan has been in the real estate industry for 20 years and is the holder of an NSW Real Estate Agent’s Licence. He is the Principal of Paul Mulligan Property Group, a Real Estate Buyers Agency. He helps home sellers select a Real Estate agent when they are selling and he is a Strata Inspector. For more information on matters such as buying into a strata scheme, more details about strata inspection reports or information about strata living in your state or territory, visit Renting / Buying / Selling Strata Property, Strata Plan / Strata Inspection Report OR Strata Information Pages by State. I live in a 2 villa strata scheme in NSW. I bought my villa in 2011. My conveyancer said there was no owners corporation as such and that the only expense was shared insurance for the two separate villas. During acceptance of my offer and settlement I discovered that stud frames of three external walls had been destroyed by termites. A builders inspection said the structural integrity of the building was compromised. I was given permission by the sellers lawyer to fix the problem which I did at my expense. I also replaced the back boundary fence which was collapsing due to termite damage. I had taken quotes for same to the other owner who said she had no problem in me replacing the termite damaged walls and fence. After some time living in the villa I realised that an owners corporation was not functioning and decided to make an application to NCAT for compulsory management which was granted in 2015. The last AGM of the strata scheme had taken place in 1995. The admin fund and sinking fund bank accounts were closed, no meetings were held. The reason being that it was too expensive to pay levies and that the scheme would become “self managed”. No repairs and maintenance issues have been addressed since 1995. When i asked for reimbursement for the replacement of the back fence and stud walls I was told I was “money grabbing”. That issue has still not been resolved. The two compulsory strata managers have been abject failures and done little or nothing to bring the strata scheme into line with strata law. The two strata managers were appointed for a period of one year only. The first strata manager appointed herself for a further twelve month term which I understand is against the law as per section 237 of the Strata Schemes Management Act 2016. Neither managing agent has addressed the review of by-laws. My neighbour has fenced off the common property in front of her villa with a 183 cm grey colorbond fence which replaces a dilapidated paling fence which was never approved by any meeting of the owners corporation up to 1995. The first compulsory manager gave her back dated written authority for the new fence to be installed after I complained about the lack of consultation and council approval. The fence had already been installed. The Council has requested alterations to the fence which has been ignored by my neighbour. Does a review of by-laws, which was due on 30 November 2017, have to list all those alterations to common property which were never authorised by the owners corporation? I am now told by my neighbour that this all happened in the past so get over it. My concern is for those that want to buy these two villas will not know what is their responsibility and what is the responsibility of the owners corporation. This could affect the value of our investment. We have had a capital works fund since 2015. We still do not have 10 year capital works fund plan. We now each pay $1025.00 per quarter in levies. This has been arrived at without a budget being presented. How is this possible? I have major water ingress problems which have never been addressed despite detailed requests to the two compulsory managing agents. Stormwater from my neighbours roof flows through to my villa which is lower. It floods outside the villa due to inadequate drainage pipes and gets under the slab of my villa causing dampness and black mould. It is also a breeding ground for subterranean termites. It was in this exact area that I had to replace three stud walls due to termite damage. I have had active termites treated in this same area in a rotten timber retaining wall. This is all common property. The buildings were constructed in 1988/89. The latest compulsory manager’s tenure of office finishes on 11 February 2019. I have managed to reach an agreement with the other owners son-in-law to form an owners corporation to try and work our way through a minefield of repairs and maintenance issues, by-law review, capital works 10 year plan, asbestos audit if required, OH &S audit if required, etc etc. Do you have any advice which would take this forward for the benefit of both parties? It sounds like you have a particularly difficult scheme. Unfortunately, it is not the first time that I have heard “my conveyancer told me…”. The simple fact is that a strata scheme really does need to operate as a strata scheme as you have found out. Why? Because managing the common property is important and even if it is minimal it is a good idea to hold regular meetings to ensure that maintenance requests and costs are discussed and to ensure there is money in the bank if needed. A review of by-laws does not have to list alterations to common property that were not authorised by the owners corporation. A by-law review is a review of the current by-laws to consider if they (a) are still appropriate for the scheme (b) if there are any issues with their validity and enforceability and (c) to consider if changes to the by-laws or new by-laws are needed. An alteration or addition to the common property can be authorised by passing a special resolution under section 108 of the Strata Schemes Management Act 2015. It does not necessarily require a by-law. The reason strata lawyers recommend a by-law is so that the alteration or addition is registered on the title of the common property together with the obligations on the lot owner (if any) and by doing this, it reduces the chance for the approval to be lost in time. After all, a by-law made 30 years ago is on title and can be searched however meeting minutes from 30 years ago may have been inadvertently lost or destroyed. As for your ongoing management and water ingress issues, you should obtain an expert report detailing the issue and the remedial works required. You should have the current strata manager call an AGM and have all the other issues placed on the agenda – including the appointment of a strata manager going forward – I suggest this as it seems that they may be able to act as a mediator and guide for you both which hopefully will assist you moving forward. If you can get agreement on even two items you are at least reducing the items in dispute and working to build a more positive relationship with the other lot owner.